Where bees thrive they provide important services to plants and give a sense of hope for all those who care about achieving a sustainable future. Reports of losses in commercial honey bee colonies and reduced numbers of wild bee populations are of great concern. As a friend of RCLA, you probably know to avoid use of neonicotinoid insecticides in order to protect bees “Neonicotinoids, Pollinators and Alternatives”. 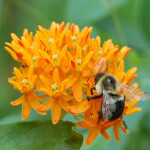 Now we seek your help to further protect bees by avoiding use of the widely-sold herbicide, 2,4-D. It may be present in pesticide mixtures so you have to check ingredient lists of any products you are considering for purchase. While many sources of nectar and pollen exist during the warm summer months, in late fall relatively few blooms supply these pollinator provisions — among them are the Dendranthema type Chrysanthemums. 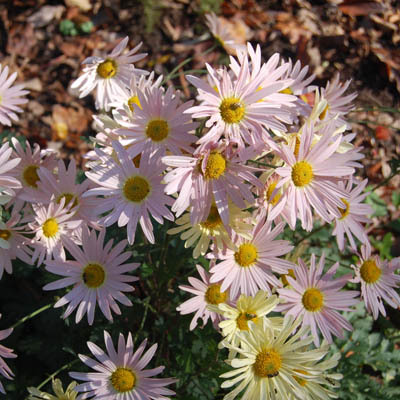 Flowering up until mid-November and beyond in various Maryland gardens including at the Rachel Carson House, they remain hardy, fragrant and striking when most other plants have faded. Their blossoms attract bees and butterflies and brighten misty days with yellow or pink nodding blooms. The absence of 2,4-D on the Carson House grounds and in organic gardens around the region, allows broad-leaf plants like these Chrysanthemums to stay vibrant and functional until late in the year, continuing to serve bees as they venture forth. 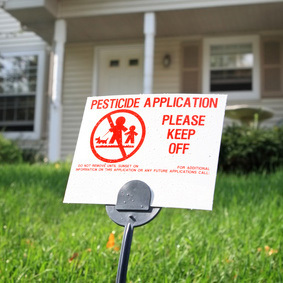 In 2015, Montgomery County, MD passed a law (based on Bill 52-14) restricting use of certain hazardous pesticides on lawns when applied for cosmetic purposes. Among these chemicals is the widely-sold herbicide 2,4-D (used for its power to kill broad-leaf plants). 2,4-D was also one half of the Vietnam era military weapon Agent Orange. Montgomery County’s newly-passed 52-14 based law will not be implemented until 2017. However, we encourage citizens in the county and elsewhere to avoid using 2,4-D, effective immediately. A lawn free of hazardous pesticides including 2,4-D can preserve the pollinator services provided by broad-leaf plants growing nearby, such as the Dendranthema Chrysanthemums mentioned above as well as dandelions and clovers that are also beneficial to bees. Avoiding 2,4-D could prevent a little known, potentially harmful direct effect on bee heart muscle, as described in the Summary below. 2,4-D is a volatile chemical noted for drifting from its application site and can be especially damaging to sensitive, desirable plants. The herbicidal (lethal) action of 2,4-D on broad-leaf plants resembles poisoning with excessive growth hormone. Non-lethal effects on plants can include changes in plant toxicity and palatability. Some non-broad-leaf plants such as corn may be adversely affected by 2,4-D exposure. 2,4-D has been associated with increased numbers of pests and disease organisms in corn plants. 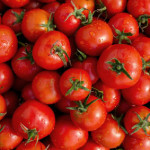 Two important crops/ garden plants, tomatoes and grapes are extremely sensitive to damage from 2,4-D.
Commercial farmers have strenuously objected to recently proposed increases in 2,4-D product registrations. 2,4-D and/or herbicidal products containing it have been linked in people, pets and/or laboratory animals, to skin problems, neuromuscular problems, gastro-intestinal, liver and kidney difficulties, as well as to cancer. In laboratory animals 2,4-D has been associated with teratogenicity and embryotoxicity, as well as adverse effects on immune function and developmental behavior. These findings may have relevance for human health. 2,4-D comes in a wide range of forms and is present in a wide range of marketed products. In addition there are variations in the responses of wild species to these products. As a result the direct toxicity for wildlife of 2,4-D can vary. 2,4-D toxicity ranges from low to high for: fish, aquatic invertebrates, crustaceans, and certain insects. For birds 2,4-D’s toxicity ranges from low to moderate. Bird and frog egg development may be inhibited by 2,4-D. In honey bees, 2,4-D was found to inhibit heart contractions. 2,4-D was the only herbicide linked to bee kills (in observations by apiaries from 2005). Exposure to 2,4-D can generate unintended impacts on wildlife food chains. On November 24, 2015 the USEPA announced it was revoking the registration of the 2,4-D-containing herbicide, Enlist Duo™. This product, a combination of glyphosate (aka Roundup™) and 2,4-D, had been granted registration status by USEPA for 15 states during 2014-15. A key factor in the status change for Enlist Duo™ was the discovery of information in a patent application indicating that the combination was synergistic (more toxic than the sum of the two herbicides’ toxic effects). USEA’s initial registration of Enlist Duo™ was based on information indicating that the two herbicides were not synergistic. (Pollack, A., “EPA revokes approval of herbicide for gene-altered crops,” The NYT, 11-26-15) The new information means that Enlist Duo™ could be more toxic to non-target organisms than previously believed by the USEPA. These findings have implications for multiple simultaneous uses and effects of cross contamination conditions on humans, pets and wildlife food chains exposed to 2,4-D, glyphosate as well as other pesticides. For 2,4-D’s toxic effects on nervous tissue (peripheral nerves and the brain) from laboratory studies and adverse reaction reports, see #15, #16, #17, #19. For 2,4-D’s toxicity to muscles, see #16, #17, #20. For 2,4-D’s toxicity for kidney tissue, see #17. #14) In rodents, 2,4-D exposure causes a variety of developmental behavioral deficits, motor abnormalities and changes in the brain. #16) Exposures to 2,4-D containing pesticide products have resulted in adverse effects in people. #17) Exposures to 2,4-D containing pesticide products have resulted in adverse reactions in dogs. A pet dog developed terminal kidney failure after being exposed to a lawn freshly treated with a combination of 2,4-D and 2 related herbicides. (Missanelli, M.G., “Death of a pet, and chemicals used on lawns,” The Philadelphia Inquirer, Oct. 6, 1986) After death the dog’s kidney tissue showed measurable levels of all 3 herbicides. #18) Dogs have a 10-20 fold lower capacity to eliminate 2,4-D from their bodies than do rodents. #19) 2,4-D can be hazardous to wildlife. #20) In honey bees: Both the force and the frequency of the spontaneous heart contractions under isolated heart conditions were inhibited in a dose-dependent manner by 2,4-D. In a 2005 survey of bee kill observations reported by apiaries, 2,4-D was listed. It was the only herbicide on the list. This indicates that the research required by USEPA for evaluating the adverse impacts to humans of 2,4-D was incomplete as of 2005. Depending on the requested tests’ results, USEPA may change the recommendations for human exposure to 2,4-D. Please Note: The number of reasons to avoid 2,4-D does not end with this list. This represents a sampling of effects linked to this chemical. There remains a need for further research on 2,4-D’s toxicity. Prepared by Dr. Diana Post with Munro Meyersburg, December 8, 2015. 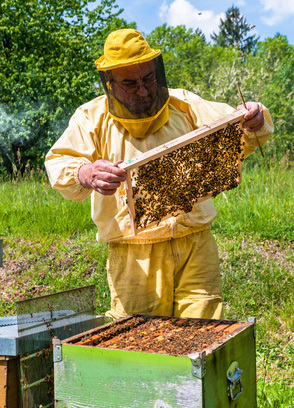 Deeply troubled by loss of the honey bees, this beekeeper reported his observations to the USEPA at beekill.epa.gov, and strongly urged fellow beekeepers to do so if they notice a similar “coincidence” with their hives. We cannot be absolutely certain if and/or how the herbicide product applied to this writer’s turf contributed to the unfortunate hive losses. However, we note that a 2005 survey of apiaries found one of the chemicals reported as associated with bee kills was the herbicide 2,4-D. We also note that 2,4-D is a widely-sold herbicide for use on lawns and has been found to adversely affect the honey bee heart muscle at low levels. Agent Orange (2,4-D & 2,4,5-T) was widely sprayed by the US military as an ecocide in Vietnam(from 1961 to 1971). Under the “Operation Ranch Hand” program, Agent Orange decimated forested areas throughout that country.